Vladimir Putin had talks with President of the People’s Republic of China Xi Jinping in Xiamen. President of Russia Vladimir Putin had talks with President of the People’s Republic of China Xi Jinping in Xiamen. 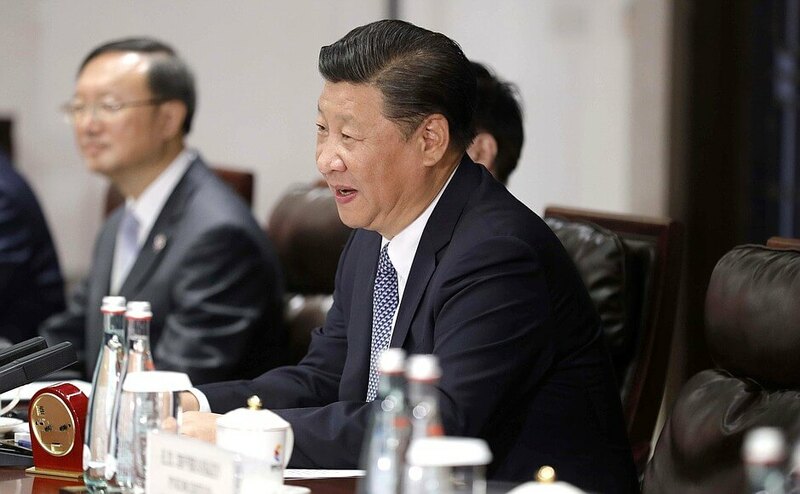 The two leaders discussed, in particular, current issues of Russia-China cooperation, including the implementation of bilateral agreements, as well as a number of international issues. 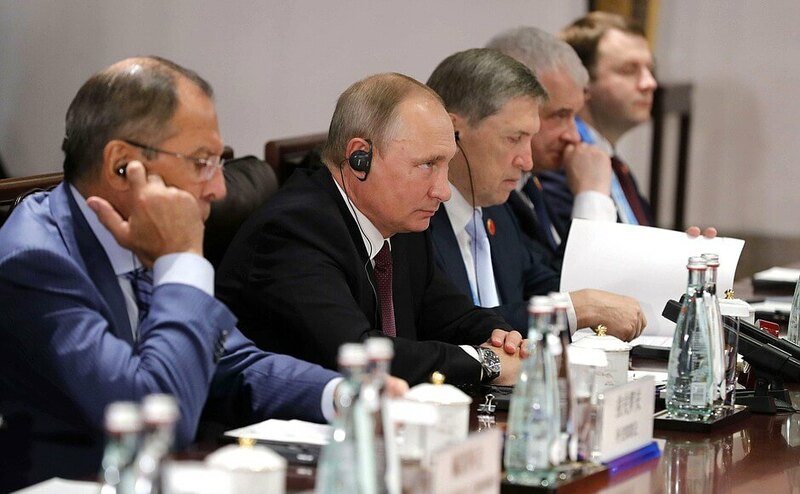 The talks were held ahead of the Russian President’s participation in the BRICS Summit and the meeting of the BRICS Business Council. On the sidelines of the summit, Vladimir Putin will also meet with Prime Minister of India Narendra Modi, President of the South African Republic Jacob Zuma and invited guests, Egyptian President Abdel Fattah el-Sisi, Prime Minister of Thailand Prayut Chan-o-cha and President of Mexico Enrique Peña Nieto. The Russian President’s visit to China will last until September 5. My very good friend, Mr. Putin, I am very pleased to receive you in Xiamen (you and I met just recently). I am glad to meet with our other Russian friends as well. This is our fourth meeting since the beginning of this year. I cordially welcome you to the BRICS summit in Xiamen. This past July my visit to Russia was quite successful. We had a lengthy and comprehensive exchange of opinions and a detailed conversation on our bilateral relations; we discussed the dynamics and issues on the international and regional agendas. 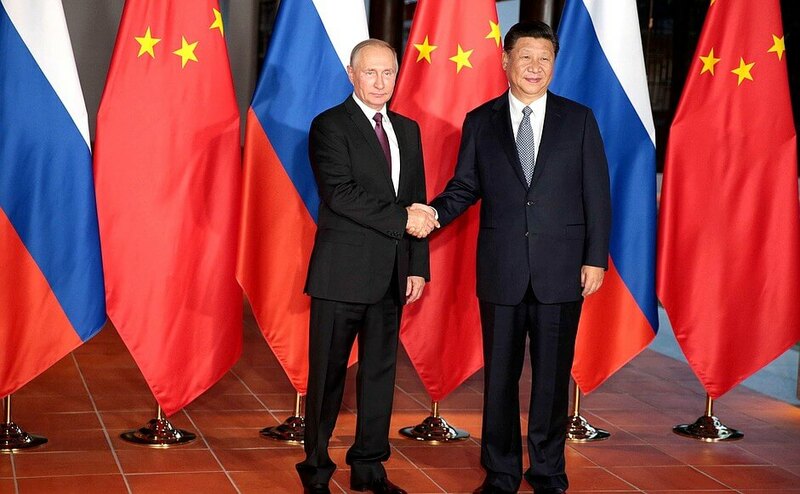 Vladimir Putin and President of the People’s Republic of China Xi Jinping. I am pleased that our ministries and departments are working on the comprehensive implementation of the agreements you and I reached and our two countries are constantly making progress in their multi-faceted cooperation. This time, we chose Xiamen purposefully – Xiamen University, with its nearly 100-year history, is located in close proximity. The university has a monument to Russian poet Mikhail Lermontov. Interestingly, the monument is located just opposite the monument to the great Chinese philosopher Confucius. It is obvious that people in this city value the cultural exchange between China and Russia. I know a famous poem by Lermontov called “The Sail,” which praises a persistent struggle and a strong will. I hope that our countries will make persistent efforts to advance our relations and our “ship of relations” will embark on a new voyage full sails ahead. It is important that we make every effort to develop our two countries and make a joint contribution toward securing peace and stability in the region and the world. I wish you a pleasant and memorable visit to the city of Xiamen. I am confident that the city of Xiamen will be the site of a new start to the next “golden” decade of BRICS. First of all, we appreciate that you have organized this BRICS leaders’ meeting in such a wonderful place, the city of Xiamen. As I know, you have worked in this city and province for a long time, and today we – and I personally – can see the apparent results of this work. The city looks wonderful – I have never visited this region before – and it gives the impression of a place that is flourishing. 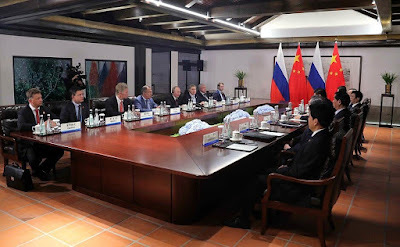 Vladimir Putin at the meeting with President of the People’s Republic of China Xi Jinping. I would like to wish much success to the BRICS summit. I know that our Chinese friends have taken active and substantial efforts to prepare for it. We, on our part, will do everything possible for the summit to be carried out at the highest level possible. 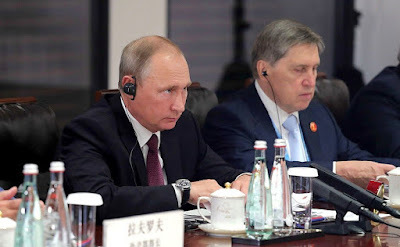 Indeed, this is out fourth meeting this year and in this connection, I would like to note that during your visit to Russia on July 3–4 we had very substantial talks in Moscow on the whole scope of our relations. I am very glad to have the opportunity, both on the sidelines of today’s events and as part of the working visit organized ahead of the BRICS summit, to exchange opinions on the work being carried out to implement the plans we outlined during your visit to the Russian Federation. Russian President Vladimir Putin and President of the People’s Republic of China Xi Jinping. Vladimir Putin during talks with President of the People’s Republic of China Xi Jinping. 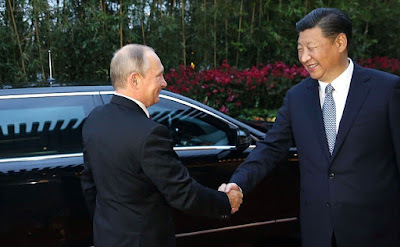 0 Comment to "Vladimir Putin met with President of China Xi Jinping"